Dropbox, Google Drive, OneDrive. They all have a official desktop client app that allows to access your cloud files without needing to back and forth from file manager to web browser. The client app of a cloud storage service plays a role to sync cloud files with the files on desktop. This means, all changes you make on the cloud will also be applied to desktop. And vice versa. One thing you need to underline. Syncing cloud files with desktop will reduce the disk space on your computer because you will have the actual files on both desktop and the cloud. If you use SSD as your storage medium with limited enough storage capacity, syncing cloud files with desktop is not a good idea. But, if you still want to access your cloud files via file manager, there is a great tool you can use. The tool is CloudMounter. CloudMounter is a tool that you can use to mount cloud drive accounts to computer. This tool is pretty similar to the desktop client app of Dropbox and Google Drive. With this tool installed on your computer, you can access your cloud files directly via file manager. The difference is, CloudMounter doesn’t store your cloud files to your computer so it won’t reduce your storage space. CloudMounter only gives you a remote access to your cloud files instead of storing them locally. With this concept, CloudMounter can be a great answer if you have a laptop with SSD, which typically has fewer capacity than HDD. What cloud storage services are supported by CloudMounter and how it works? CloudMounter supports popular cloud storage services like Dropbox, Google Drive and OneDrive. It even also supports Amazon S3 and Wasabi. Same as the official desktop client app of services like Dropbox and Google Drive, CloudMounter also has a sleek integration with file manager app, regardless the operating system you use. Once you have connected your cloud storage account, you can mount it to file manager. Once mounted, you can do regular actions you usually do to your files like copying, moving, renaming, deleting, and so on. CloudMounter was initially only available for Mac, but the tool has now been available for Windows and Linux as well. CloudMounter itself supports AES256 encryption algorithm. CloudMounter is available for Mac, Windows and Linux (Debian and the derivatives). 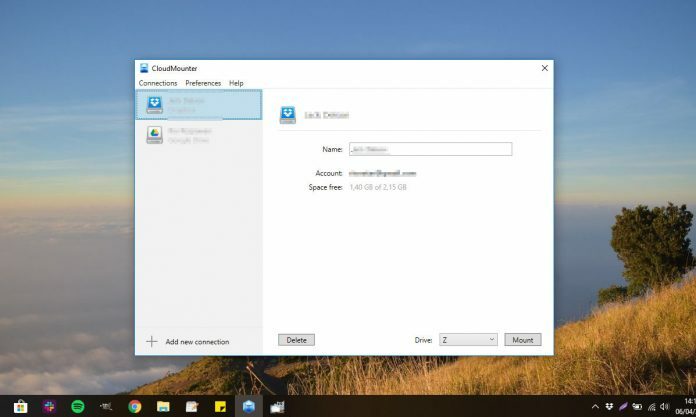 In this example, we will demonstrate how to use CloudMounter on Windows 10. You can download the binary file (the EXE file) of CloudMounter for Windows on its official site. Once downloaded, double-click the file to install on your Windows computer. Once installed, launch the CloudMounter app and select the cloud storage service you want to connect your account with CloudMounter. You will be prompted to login with your account and give CloudMounter an authority to access your data. Once you have successfully connected your account, it will be available on CloudMounter. To mount it, simply select your account and click the Mount button on the bottom-right corner. Before clicking the button, you can select on what drive you want your account to be mounted. 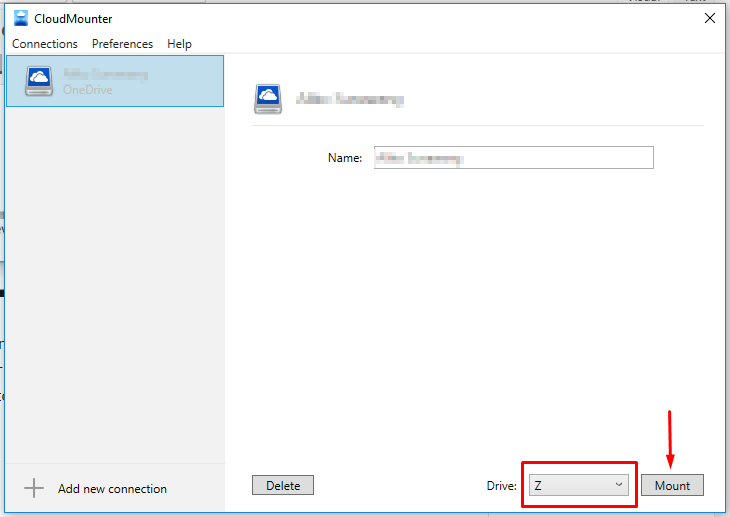 To access your cloud files, go to File Explorer and select the drive you mounted your account to. 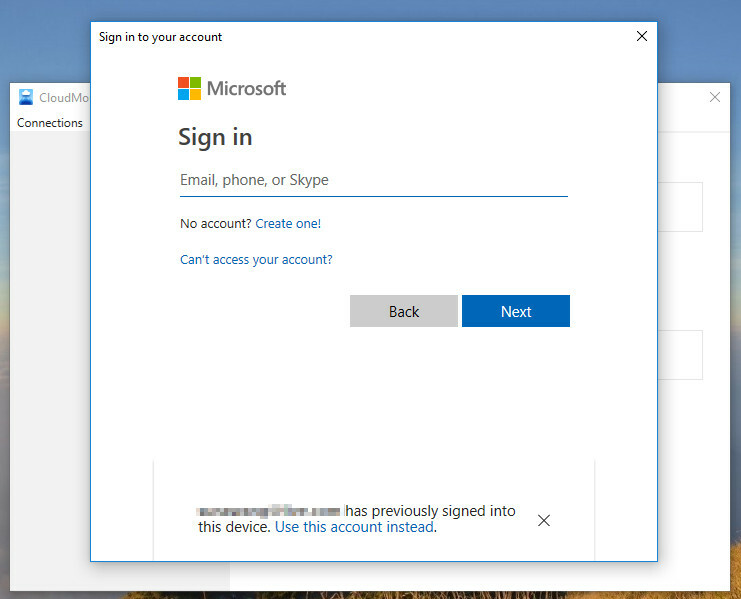 To connect more cloud storage accounts, you can go to Connections -> New Drive or simply click the Add new connection button on the bottom-left corner. CloudMounter allows you to connect multiple accounts of the same cloud storage service. To disconnect an account, select the account you want to disconnect and click the Delete button. CloudMounter is a tool that you can use to access cloud files directly via file manager on your computer. Unlike the official desktop app of services like Dropbox and Google Drive, CloudMounter doesn’t download your cloud files to desktop. It only gives you a remote access to your cloud files without storing the actual files locally. In other words, files are not synced. 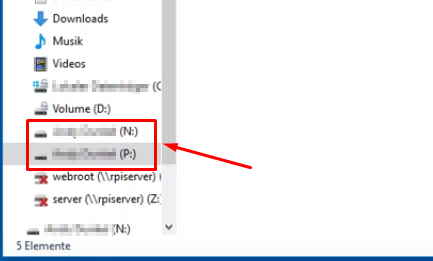 Once you disconnect your account, your cloud files will also disappear from file manager until you reconnect your account. This tool is not designed to become a backup tool. You can use CloudMounter regardless the operating system you use since it is available for Mac, Windows and Linux. CloudMounter supports popular cloud storage services like Dropbox, Google Drive and OneDrive. In addition, it also supports Amazon S3 and Wasabi. You can connect multiple accounts of the same cloud storage service. CloudMounter is a great tool if you have a laptop with low storage capacity. CloudMounter itself is a paid tool. You can try it for free for 14 days.